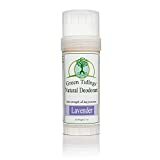 AWARD WINNING NATURAL DEODORANT: Our natural deodorant is known to last a long time- 24 hours for most people. 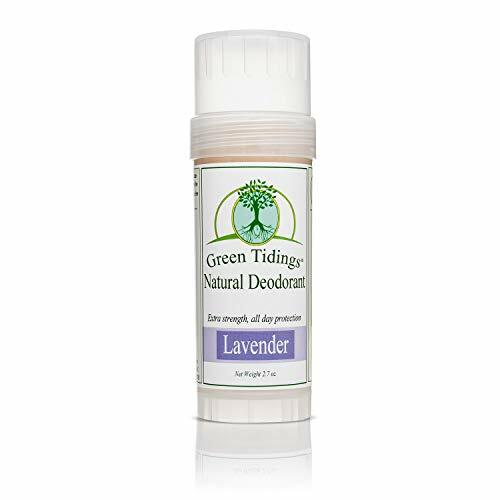 Green Tidings Natural Deodorant will help absorb wetness (which tends to significantly lessen when one ditches pore-clogging antiperspirants), and just a couple of light swipes are needed to last. We are the best-selling, top-rated, best-reviewed natural deodorant for good reason. ONLY CLEAN, PURE, VEGAN INGREDIENTS: Coconut Oil, Tapioca Starch, Sodium Bicarbonate (aluminum-free), Organic Shea Butter (Fair Trade), Wildcrafted Candelilla Wax, Magnesium Oil, and 100% pure essential oils. WHAT MAKES GREEN TIDINGS DIFFERENT: Non-toxic, Organic, Vegan, Gluten-free, Corn-free, Soy-free, Paraben-free, Free of Mineral Salts (crystal deodorants, and mineral salts contain aluminum! ), SLS-free, Aluminum-free, Propylene-glycol free, Perfume-Free, Petroleum and Petrolatum-free, Pthalate-free, Paraffin-free, Mineral Oil-free, no artificial colors, No Silicone Oil, No Menthol, Phenol, or Salicylic Acid, Certified Cruelty-free by Leaping Bunny, & made in a solar powered facility. WE HAVE OPTIONS! Our deodorant comes in 2 sizes, the 1 ounce size is best as a "tester" size, or for travel or your gym bag. Our 2.7 ounce tube is our full-size deodorant. All of our bulk 3 packs are 15% off! Choose from our Vetiver Citrus, Lavender, Jasmine Rose, Floral Spice, Vetiver Citrus, or Unscented option, and look for our Sensitive Skin version, a baking-soda free option if that suits you better. 100% SATISFACTION GUARANTEE! If our you don't love our deodorant, let us know and you can return it for a full refund. We strive for excellent customer service. Questions? Comments? Feedback? Let us know!